Born in 1942 in Ellinikon, Greece. He studied at the School of Fine Arts as a scholarship student from 1961 to 1966, with Yannis Pappas as his teacher. In 1967, with a two-year scholarship of the State Foundation of Scholarships (IKY), he pursued the study of Ancient Greek Art in Greece and the wider Mediterranean area, effecting a series of travels in Egypt, Asia Minor, Cyprus, Southern Italy and Sicily. In 1970 he was appointed Assistant Professor at the School of Fine Arts of Athens, next to his teacher, Yannis Pappas. In 1974 he co-organized with other 24 colleagues the Center for Visual Arts (KET). 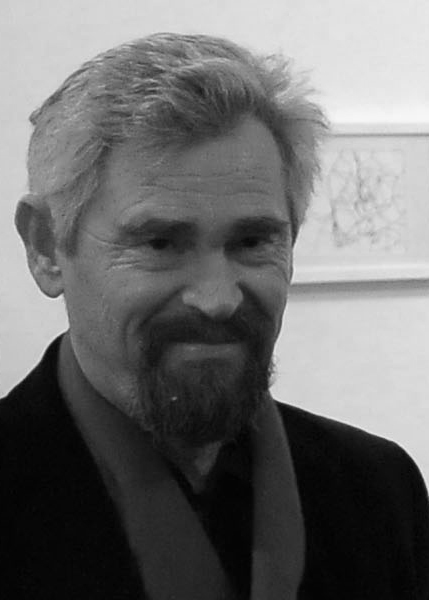 In 1981-1982 he pursued further training in Ecole Nationale Des Arts Appliques et des Metiers d’ Art in Paris, in the latest materials and techniques of sculpture. In 1996-67, while on a six-month sabbatical, he visited the US in order to acquaint himself with the educational programs and setting-up of sculpture studios at the School of Fine Arts New York. In the line of educational exchanges of the Erasmus Program, he has co-hosted frequent workshops at the School of Berlin, Brera and Bologna. For over twenty years he has been leading in the setting up of Sculpture Symposia in different cities of Greece and Cyprus, creating and leaving behind large scales sculptures in public places. Those sculptures were created on site. He has organized 30 individual exhibitions and has participated in multiple group exhibitions in Greece and abroad. He has sculpted busts and statues of prominent personalities as well as many medals, coins and large sculptural compositions placed in public and private spaces. He has been awarded with many prizes in different competitions that he participated; his last one was the first prize in the international competition for a sculpture at the Chicago Airport. Daily press, periodicals and mass media have repeatedly commented on his work, in Greece as well as abroad. Theodoros Papayannis is today Professor Emeritus of Sculpture in the School of Fine Arts. He was proclaimed also Emeritus Professor of the University of Ioannina, in the Department of Plastic Arts. In 2009 he created the Museum of Contemporary Art “Theodoros Papayannis”.